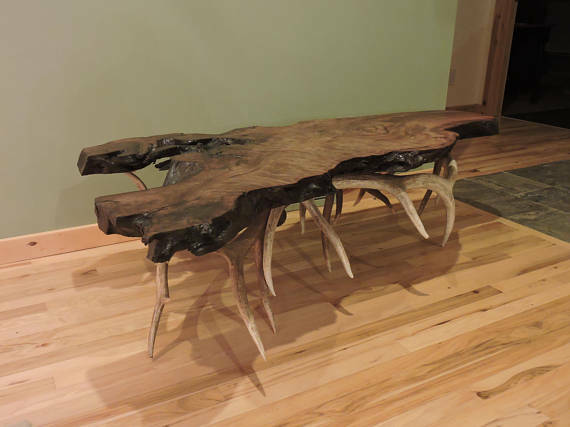 The Most Unusual And Expensive Coffee Tables We’ve Ever Seen! For those looking for a little something completely out of the ordinary to dress up their interior decor. 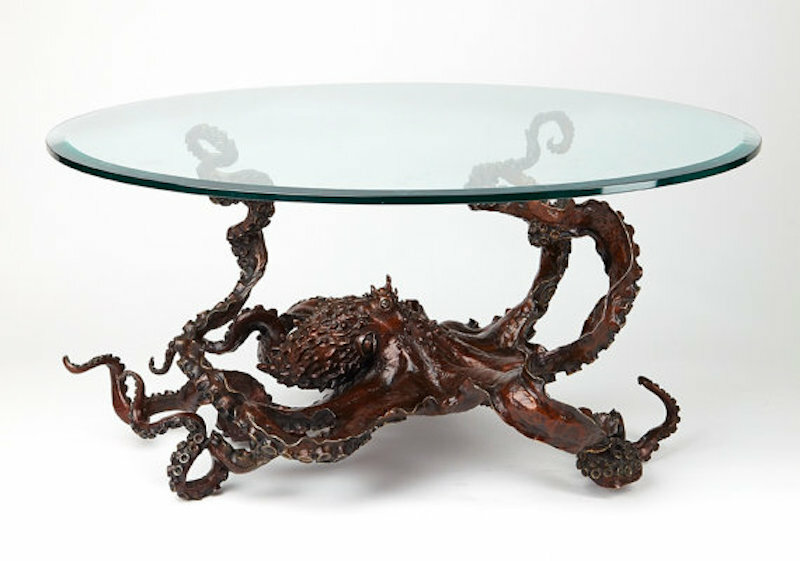 We scoured artisans on Etsy to find the most unique and sometimes unusual coffee tables out there. You never know what you’re going to find at any given day and we were lucky enough to find a lot of crazy stuff out there. This coffee table is for a dedicated gamer looking to add to their games room. This is a solid art piece weighing at least 100 lbs and it’s well constructed. This unique piece has already been featured in a few magazines and can be yours right now for $4,022.53 CAD from WoodCurve shop. This coffee table caught my eye straight away and it adds a nice twist to the reclaimed wood table. As you can see, it features a natural beach stone and reminds me of the west coast. I’ve never seen anything quite like this and seems like it might come from a different era. It’s unique contemporary design features small metal hemispheres, which helps create the illusion of foam. A bit of steampunk and a whole lot of tentacles in this handmade piece from Kirk McGuire. He is well known for his handy work with brass and it really shows with this unique table. This kind of craftsmanship comes at a price, $23,464.74 CAD to be exact. This is a one of a kind coffee table consisting of cast iron, copper and wood masterfully woven together. It’s completely handmade and if you do end up buying this, we hope you don’t have cats. 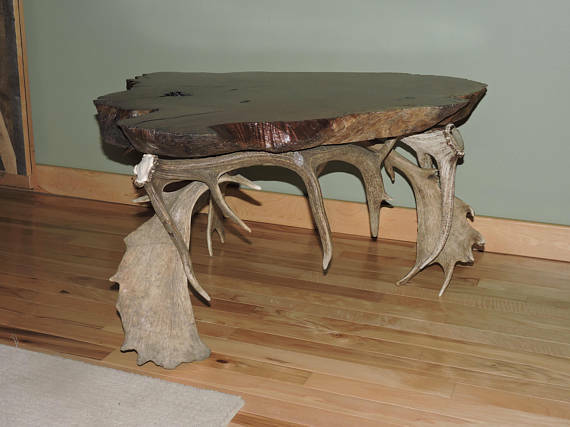 This is my favorite of the bunch and it looks like a lot of hard work went into crafting this coffee table. This piece is constructed and carved from a single slab of sugar maple. The image is a waterfall drawn from an actual place of the same name in Antigonish Co., Nova Scotia. Its dimensions are 24″ at the widest end, 16″ high and 66″ long. It is all hand cut and finished. The Wood is treated with a non-toxic beeswax and linseed oil combo. A custom cut piece of 10mm glass is the table surface. This piece is the summation of more than 200 hrs of hand labor by the artist ad can be yours for $6,704.21 CAD. This is a vintage piece by Mario Gonzalez from the 1970s and features wood, brass, bronze and metal. It is up for sale for $8,916.60 CAD right now. This is another table that popped out, especially being here on the west coast surrounded by nature. 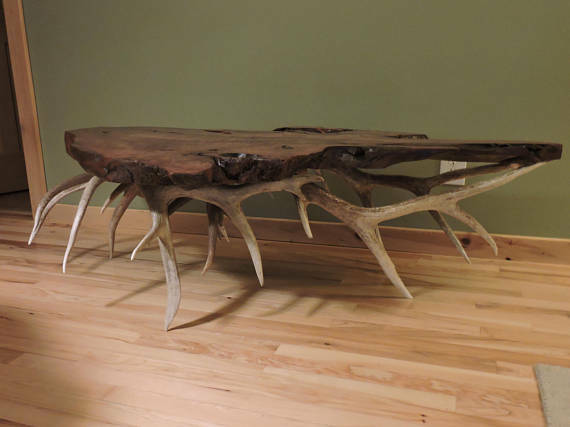 This unique coffee table features elk antlers, This is an old growth Burled Redwood coffee table, and is cut from a piece possibly 200 years old. I saved what I think is the best for last, being the biased Star Wars fan I am. This is something I never expected to see in a coffee table but here we are, and it’s pretty damn neat. This is a labour of love taking six months to build using not only 3D printed parts, but also hand built bespoke pieces.